What does the Sharifs' decision to come back mean for their and Pakistan Muslim League-Nawaz's political futures? 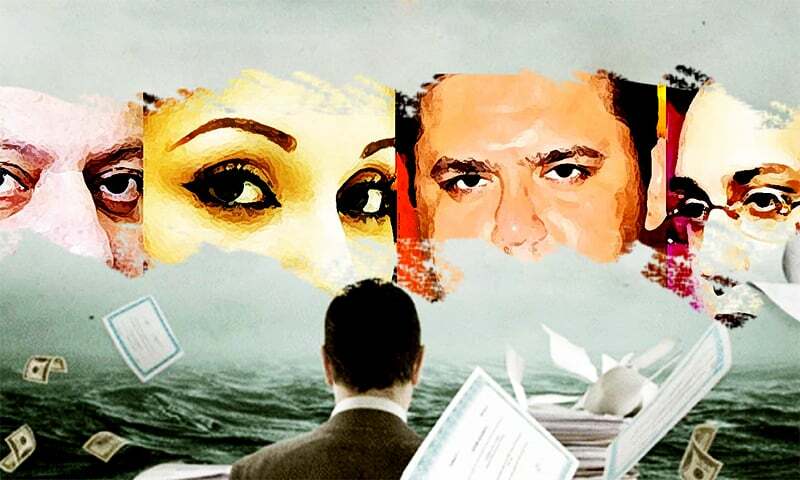 Former prime minister Nawaz Sharif and his daughter Maryam Nawaz returned to Pakistan Friday evening, following their conviction last week by an accountability court in the Avenfield reference case, in which the judge ruled that Nawaz, Maryam and her husband Captain Safdar owned assets beyond known income. They were respectively handed jail sentences of 10, seven and one year each. What does the Sharifs' decision to come back mean for their and Pakistan Muslim League-Nawaz's political futures? How has the state handled the duo's return? Our analysts weigh in. Did the government go overboard in its reaction to the Sharifs' return? The caretaker government went all out with its preparations to arrest two people who willingly came back to get arrested unlike a commando who is still refusing to come back to face treason charges. On the same day as over 100 people perished in Balochistan, the state was more interested in curbing protests rather than providing security to its citizens. And this is what will stick with the people going into the last 10 days of the election season: the state chose to go after the Sharifs rather than focus on other things. The over-reaction by the caretaker Punjab government, highlighted by analysts like Nusrat Javed in the last few days, was not necessary. All this has done is to give the victimhood story line the PML–N has been pushing, more credence. In short, a smarter caretaker government would have simply cordoned off the airport instead of shutting the city down, arrested both Maryam and Nawaz in the lounge and shuttled them to Rawalpindi. It could have been a simple and clean arrest but instead, the state always somehow manage to muck up their best plans and turn the same people they want to vilify into heroes. What do you make of the Sharifs' decision to come back? For Nawaz and Maryam, the decision to return was important. Ever since 1999, Nawaz has been scarred by the taunts that he fled the first chance he got. So, this time around, he needed to do this to wash away that black mark. For Maryam, this is the tipping point where she can legitimately play herself to be like the person she has modeled her career on i.e. Benazir Bhutto. 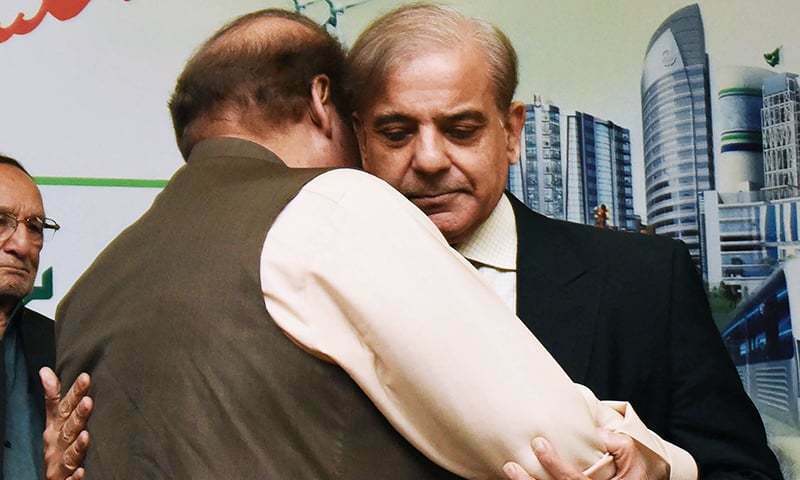 Whether they spend the whole jail time they have been given is up for debate, but what this whole thing has shown is that this PML–N is no longer the docile PML–N of 1999/2000. Another factor being ignored right now is that the party is now crafting a social identity for itself beyond just a political party. The party may have been founded by the patronage of a dictator, but it has essentially built the perception now as the only one to stand up to the iron-fisted interventions of the powers-that-be. How has the government handled Nawaz and Maryam's return? Was such a reaction necessary? The administration's reaction was an overkill; they could have done without it. Unfortunately, this is how the state in Pakistan is structured and this how it functions each time there is any kind of a protest. Whoever is in power — or whoever controls the state — will do something like this. So, for example, if Nawaz Sharif is leading the long march to Islamabad and the PPP is in power, they would do something similar — as they did back in 2009. When the PTI wanted to hold the second dharna in Islamabad, this is how the PML-N reacted. Now when the PML-N wanted to collect a crowd, the caretaker setup reacted this way. Related: What are the ways the Sharifs could appeal the Avenfield verdict? It is partly because of our colonial legacy that you have these laws in place, like Section 144, and the how the police functions — it is basically to control the public rather than to provide a service. The moment they feel a political threat, they put that entire infrastructure in motion. So, the only thing that changes is who the victim is and who is the enforcer. What do you think of the Sharifs' decision to even come back? Well, I think it was a political necessity. They have been in power for the past five years. They have stakes in Pakistan. This is no longer a military dictatorship, so if they had stayed away, they would have created too many legal and political problems. Nawaz wants to pass his political legacy to his daughter, so if they hadn’t returned, they would have lost all of this. In 1999, Nawaz went in exile. Can you compare and contrast that moment with today? 1999 was very different because they were imprisoned under the military dictatorship. It was life imprisonment. Obviously they were kept in Attock jail, so they thought it was safer to leave. Perhaps that experience has shaped their decision because they realised that, once they left, their party was weakened completely. What do you make of the government's handling of the situation today? I think the government seems to have reacted in panic initially, and I don’t think there was any need for that, even if the crowd was surging. This is typical and has not happened for the first time. Each time this kind of thing happens, they take what they call ‘preventive measures’: bringing in containers, blocking roads. So I think, probably, the caretaker government also resorted to the same thing, and later on, when they realised, they removed the containers and allowed people passage, and it was all peaceful and nothing happened. So, I think it was unnecessary to take this kind of immediate action. What's your take on Nawaz's decision to come back? I think he did not have any choice. He had only 10 days left for the appeal and so he had to come. I think probably he is hoping that, when he goes to appeal, the sentence may be suspended. I think it was a very different situation then. There was a military government and they were convicted under that, so they basically decided to make a deal and leave the country. But this time, it was different — an accountability court convicted them and they were already out of the country when it happened. It’s not like they were arrested here and then convicted. So that was a completely different situation. Meanwhile, Shahzaib Khanzada emphasised the political significance of optics and the visualisation of Maryam and Nawaz Sharif's return. "It is vital to notice Maryam and Nawaz’s body language which is important in politics. It seems they are aware that they need to appear confident, because this optic is necessary." "Every expression on their faces will make headlines and be analysed." Geo News' Mazhar Abbas made an important point that "despite road blocks, protesters arrived in some way to show their presence. Nawaz has corrected a historic mistake of leaving for Saudi Arabia in 1999." "Today they have returned and sent a message to the people that they have come back to face the sentences against them." 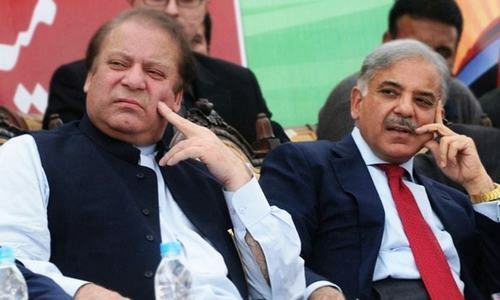 Editorial: What next for PML-N? Welcome back. You will be victorious! Fact is that they had no other choice left. UK would have kicked them out sooner or later based on residency requirements. They have taken a chance to come back and hopefully were serve time, pay fines and return the overseas transferred assets back to Pakistan. There was no choice, no option, but to return home, Nawaz Sharif & his family are elite politicians,rich industrialist, and a property tycoon, they cannot afford to runaway or live in exile, they still have legal chances to come out of mess, they can appeal at many stages ahead. Ofcourse there are some other unaware people of OECD Convention on Mutual Admin.Assistance in Tax Matters, according to this convention no nation will provide safe shelter or asylum to money launderers. Hence many fugitives from Pak will naturally return after deadline Sept 2018. Mian Nawaz Sharif knows well about this Convention hence no question of staying in UK. But still one million question still remained unanswered by Nawaz Sharif, a question of money trail through which he bought Avenfield plus other properties in London. And last but not least the Art 62, 63 of Constitution will remain, the politicians or any party dare not touch it. What does it mean for Shahbaz Sharif. He is the gatekeeper for PML-N now. I don't agree surrender is a political. One cannot live with perpetual warrant of arrest and that in a foreign country. We salute on the following the law by NS and MN. I think the analysts are absolutely right in their assessment that Sharifs had no choice but to come if they wished to keep hope alive for the crowned princess. The election is only few days away and they had to lend their support to that process. It would be interesting how the masses react to all this on the Election Day. The Sharifs could not continue to live in Great Britain because the would have been extradited. They came back because their choices were limited, and are also hoping against hope to be pardoned or to win their freedom on appeal. It will be increasingly difficult for them to stay positive. Let's face it. The Sharifs never focused on keeping the people safe. Not ever. They were not able to clean up crime or end terrorism. They used the interior minister to go after Imran Khan's workers. What's the difference? Good decision to come back Pakistan.But,on the other hand the harsh reality is this that Nawaz sharif and Maryam found guilty and they will face the sentence.Those who looted the money of this nation must will have to face Court.We do not accept corrupt leaders anymore. They had no choice but to come back. They'll be stripped of everything. Pakistani awam is not the same as 15 years ago. Family League politics is dead. Under the present circumstances, it was not political, but legal necessity which 'compelled' them to come back. Because they must surrender to be able to avail the right of appeal within ten days. Further, red-warrant is the universally accepted tool to bring them back, had they not decided to surrender. In any case, defiance of the court, and their ugly option to malign the SC can not be taken lightly. What analysts..? no names mentioned..
Nawaz Sharief has done a yeoman's act by leaving his ailing wife, in a comatose state in London Hospital so as to face the legal battle along with his daughter, his heir apparent. This heroic act will give boost to his political party and hopefully the party will reap dividends in the coming elections. It will also establish Ms. Maryam as a new generation luminously visible politician of renewd Pakistan. They had no option other than coming back to use their right to appeal. As for securing the political future of Maryam, I think, she is not capable of that. She is of an average faculty having no intellectualism as Benazir had. As for optical significance of their return, it would have very little as PMLN couldn't create a convincing show to show support. Shahbaz Sharif and his team couldn't pull the expected charged crowd. PMLN is likely to lose with verdicts of Hill Metal and Al-Azizia that are in the offing. While everyone is talking about optics and visuals, the real point keeps getting eclipsed. Why was Nawaz and co. sentenced? It is assets beyond means, which they miserably failed to justify. A UK based newspaper published a story about their family properties...21 in UK...and they do not utter a word. A court in Pakistan tries them over 4 flats and it is a conspiracy. In a democratic system Pakistanis have the right to choose their own leaders. Be it someone who robs them and stashes the money in London. But then they have absolutely no right to complain about the treatment they receive in Pakistan at the hands of those they chose for themselves. Learn to live with a system they create for themselves just the way Egyptians did after they kicked ikhwan govt out only to have a Mubarak clone. You reap what you sow. Your leaders are from amongst you. Just like you. No wonder you want them. The Punjab Government's moronic action is laughable, totally incompetent. If a province of the size of Punjab with a mighty force of police and rangers had difficulty in handling the security issue then the chief minister along with interior minister should resign immediately. There was no need for any panic, simply two convicted criminals were coming to surrender. A sizeable police force at the airport was good enough. elections and not courts or establishmrnt shall (and should) determine future political position of nawaz sharif. by returning he has forcefully put his claim. Now lets wait n see if or when stolen money is recovered. Last time in 1999, Sharif was not convicted and sentenced for major corruption, he had ground for resisting over throw by army, he surrendered before an illegal army rule. Entire world was with him. This time he is convicted during his own government for mega corruption after a long trial. No body in the world has sympathized with him. He has been taking advantage of wording of judgement. Politicians in Pakistan amaze wealth to buy loyalty of greedy political workers, and some media houses which is exhibited on roads. The sword is not off, he is facing two more corruption charges. Will more corruption glorify him. It is the start of the party. I completely disagree with the writer on what the caretaker government sound have done. First, its not going all out to arrest Nawaz and daughter, its following the court orders, arrest upon arrival. Second, as far as the security of the citizens is concerned, the agencies that provide security are very different from the agencies that went to arrest the convicts. Lets get the facts here, you are causing another storm in Pakistan, sure hold the agencies accountable that are suppose to keep the citizens safe, just don't start another war in Pakistan, do not divide people, Pakistan cannot afford another mess at the moment. I still do not get the point of meet & greet? those who wanted to do so could do that in the jail where NS belonged! NS after long journey has exorcised himself from demons of Zia. Now public has to decide about his role in democratic process of the country. As for Maryam let her prove in time to come what she would be up to. Strange as it may seem AZ has lost the role of being antiestablishment, rather proving pro. Nobody noticed but I am the first one to ask nawaz. Where are 10 million pounds- 8 million your penalty 2 million your daughter’s? Did you pay the amount in govt exchequer or not yet? Did you not read the judgement of the court. No corruption charges have been proven. The sentence is for having assets beyond known means. Who knew there was even a law like that. Does police go after people and prosecute them if they have assets not matching their sources of documented income? Still it is quite a complement to say that he is free from corruption charges. It is very easy to say what should or should not have been done once the situation is over. Those saying he’s a tiger and brave etc, why did he not go jail in 2000. Took exile in Saudia. Wasn’t “brave” then was he?. Correctly said......it was a political necessity and a legal necessity, which if not fulfilled they would have become political history. I see 100% self interest.....the country and the people are not even in the picture. None of any patriotic Pakistani is interested in finding the ' so made complicated ' issues . If N. S. & M. N. are convicted by Supreme Court in Money Laundering , we want our money back to Pakistan. But where was PMLN leadership??? They had just fizzled out and let them down. One thing is clear that Shahbaz Sharif as the current chief don't have the Chrisma and vision to lead the party. I think it will be wait for PMLN till next elections. Shariffs became too greedy. End result of greed is alaways very horrible. Lets not forget that they had 10 days to appeal . In case of no appeal the process of confiscating the London property and fine would have started. To protect their illgoten wealth & move some money around to hide they need time that they will obtain easily because of antiquated legal system mostly given to us the present ruling class. Take all their assets, and all other corrupt leaders. That is the best way to punish them. Nawaz failed to prove his assets yet I fail to understand why did he come back to Pakistan? I’m sure he is hoping for some NRO. The whole family is in bad situation. There is a lot one can learn from this. Coming back is the smartest and the only move Nawaz Sharif had.